Matthew Graves is an Associate Professor in British and Commonwealth Studies at Aix-Marseille University and a Fellow of the Museum of Australian Democracy and the Royal Geographical Society. His research interests lie at the crossroads of transnational history and political geography and he has published widely on issues of collective memory and identity in 19th-20th century Europe and Australasia, with a focus on shared history and war memory. 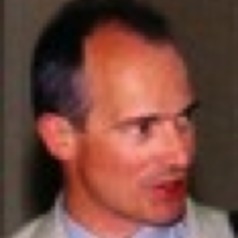 In 2009, he contributed to the Australian chapter of the Prost-Wieviorka report “La place de la mémoire combattante dans les pays signataires d'accord de ‘mémoire partagée avec la France’” alongside Liz Rechniewski and Judith Keane (USYD). Relevant international publications include ‘Histories of Forgetting in the English and French-speaking worlds, 19th-20th centuries’, a recent issue of the journal E-rea (LERMA, Vol 10.1 2012, co-edited with Valérie André). He is co-director of the ‘Contemporary Societies’ imprint of the University of Provence Press and co-convenor of the Geographies of Displacement seminar (Aix-Marseille University-Montpellier III). Matthew is currently writing a book entitled "Memorial Diplomacy" about the the politics of memory in international relations (Palgrave Macmillan, 2014).